Plymouth Science Park to develop a hub for high-growth IT and digital businesses. Plymouth Science Park, co-owned by the University, has confirmed plans to develop a hub for high-growth IT and digital businesses, creating 190 skilled new jobs for the city and new opportunities for graduates. The vision is for Plymouth, which is among the country’s top ten locations for superfast broadband coverage, to compete nationally and internationally as a centre for high-tech businesses. Planned to open in 2017, the £7 million 27,000 square foot development will provide high quality office space for up to 16 IT and digital businesses. With the best ICT infrastructure in the city, Plymouth Science Park aims to attract growing businesses from the South West as well as entice firms to relocate to Plymouth. 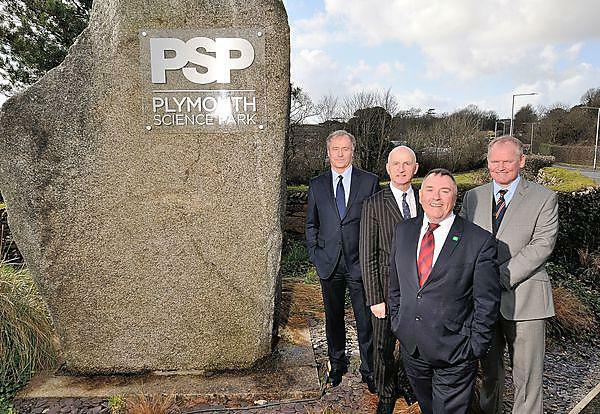 Offering offices for businesses with 15 to 20 employees, it will provide much-needed space for Plymouth Science Park companies that outgrow their existing premises. It will also create new career opportunities for Plymouth University’s growing number of IT graduates, retaining talent in the city. With building work due to start in autumn 2015, the project team is now seeking design and build proposals from key contractors who are keen to deliver a high profile part of Plymouth Science Park's facilities. Plymouth Science Park is a joint venture between Plymouth University and Plymouth City Council and is part of the Growth Acceleration and Investment Network (GAIN). It has supported more than 200 businesses since it opened nearly 20 years ago and is now home to a community of over 70 businesses employing more than 800 people. The development is being funded by the partners with funding from the first round of the Growth Deal made by government to the Heart of the South West Local Enterprise Partnership.